As well as hosting the reunion of Alice Hubley and Adam Cresswell as ARTHUR & MARTHA, TEC005 will also be celebrating the 10th anniversary of Happy Robots Records. 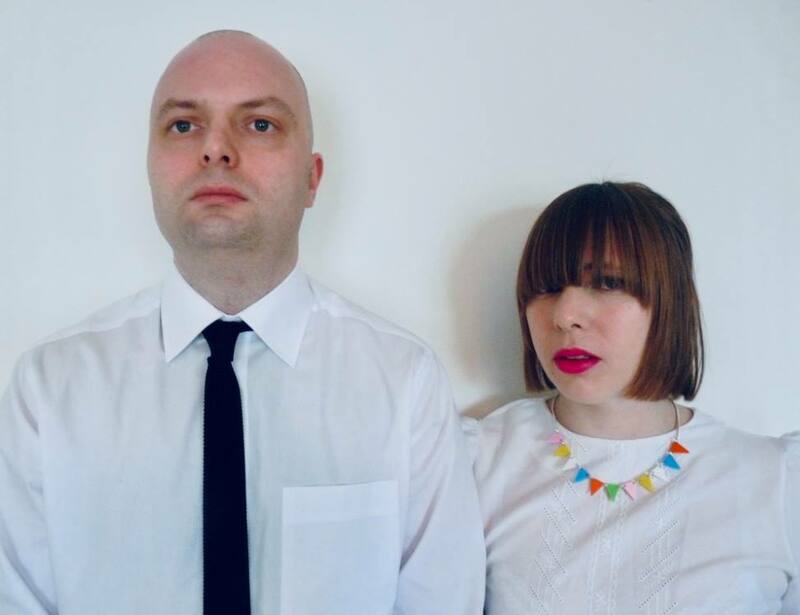 A boutique independent record label based in London, Happy Robots Records specialises in dreamy electronic robotpop, it was originally set-up to release ARTHUR & MARTHA’s only album to date ‘Navigation’. It has since developed an international roster of acts including TINY MAGNETIC PETS, HOLOGRAM TEEN, RODNEY CROMWELL, PATTERN LANGUAGE and SINOSA. Happy Robots artists have been notable for being featured in a variety of mainstream publications and newspapers as well as receiving BBC Radio airplay. 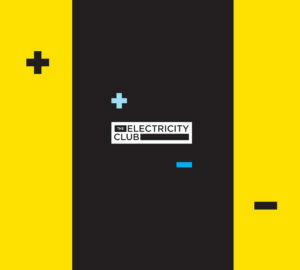 With TEC005 taking place at The Islington in London on SATURDAY 2ND MARCH 2019, Happy Robots CEO and self-confessed “Moog snob” Adam Cresswell took time out from ARTHUR & MARTHA rehearsals to chat to The Electricity Club about the label’s first decade and what might be in store for the future. Is it true Happy Robots was partly created out of necessity? Partly. I had always wanted to start my own label, just the plan had been to start it after I’d given up making music. Alice and I had ARTHUR AND MARTHA’s ‘Navigation’ in the can for ages, but we kept getting mucked about by labels. But then when the LITTLE BOOTS / LA ROUX synthpop explosion happened, we thought let’s start a label now so we won’t completely miss the boat. We got the distributor Cargo on board and it all came together. At the time ARTHUR & MARTHA ‘Autovia’ was released as a single as BOT1, the record industry was going through a state of flux, dilemmas about downloading, whether to release vinyl, self-releasing versus labels and the onset of social media. What was that like to have to deal with? Running a label is always a massive gamble but now you don’t just gamble on the bands, you gamble on formats as well. When we started, it was really good for labels and artists as the download and streaming services were paying really well. But they realised they couldn’t make enough profits so they massively slashed the return to labels. Revenue nose-dived leading to the situation we are in now. I have been looking back on old invoices and we made more from the download of the Autovia EP than anything until BOT10. How had your dealings with labels in the past been? Like anything, mostly very good with the very occasional bad egg. With labels, I find you always remember the promises that they make but don’t keep – which is why I always try and be very measured and honest with the acts on Happy Robots. No false expectations, just cold hard reality. 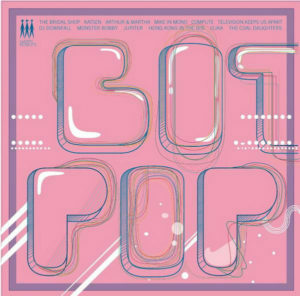 Happy Robots issued a compilation ‘Botpop Volume One’ as BOT2, what was the aim of that, how was it to put together and will there ever be a ‘Volume Two’? 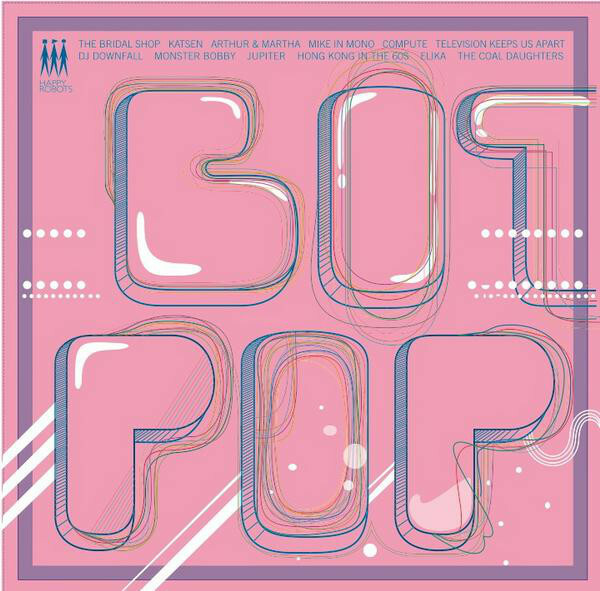 ‘Botpop Volume One’ was our calling-card to the world. We didn’t want the label to be just about ARTHUR & MARTHA. It was mostly acts we knew – in truth – mostly acts Alice knew. I found KATSEN on MySpace, but Alice found most of the rest. It had some great reviews, not least in The Guardian which I still use on the website. I did talk about doing Volume Two a couple of years back, but I would need Alice or someone else involved in selecting the acts, otherwise it would probably end up being 50 minutes of post-Soviet darkwave. Doing singles is one thing but albums is another, so how did you find releasing your first artist long player ‘Navigation’ by ARTHUR & MARTHA as BOT4 in 2009? Sadly by the time it came out, I was already sick of it. For one thing we’d both gone through some pretty dark times making it, and I’d become a real pain in the arse to work with. It was just Alice’s enthusiasm that kept us going. I still like ‘Navigation’ but see it as a wasted opportunity on my part. I was just mentally and emotionally burned out – I hadn’t taken any time away from music after the difficult spilt of SALOON, and I needed space. I’m very grateful that there are people who really love ‘Navigation’ though – even if it took us almost ten years to realise it. ‘Navigation’ can’t have been easy to promote then as printed press via Q, NME and The Word was still the expected route back then? Ha. No, it seemed infinitely easier than now because there was an established promotional route. We had a brilliant and lovely press agent and we got loads of features for all the ARTHUR & MARTHA records – NME, Word, Zoot, The Guardian, Artrocker. We had lots of Radio 1 play too which seems unthinkable now. You took a break but you and Happy Robots returned in 2015 with BOT5 which was ‘Age Of Anxiety’ by RODNEY CROMWELL. Now this appeared to gain promo momentum in a way that ‘Navigation’ didn’t… discuss! Well ‘Navigation’ got good press and then disappeared almost overnight along with the band. With ‘Age of Anxiety’ I put it out and, apart from Gideon Coe, everyone ignored it until TEC picked up on it. Then I just kept plugging away at it, I took on an agent and kept sending to more bloggers and DJs until by the end of 2015, RODNEY CROMWELL featured in a load of ‘Best Of’ lists. It was a lot of work but ‘Age of Anxiety’ was the foundation for v2 of Happy Robots. HOLOGRAM TEEN ‘Marsangst’ as BOT7 in 2016 was your first foray into releasing artists outside of the Happy Robots circle? I worked with Morgane on the ‘Let’s Get Static’ album by THE PROJECTS in 2003 and we struck up a friendship. She moved to LA but we kept in touch and when she asked me to put out a record, it seemed a perfect idea. Obviously having been in STEREOLAB, she could have gone with loads of labels, but she chose Happy Robots. We’ve both know though, the ability to trust and get on with the people you’re going to work with is way more important than anything else. How did you come across PATTERN LANGUAGE for BOT9? Chris aka PATTERN LANGUAGE was fan of HOLOGRAM TEEN, he liked the look of the label and pitched me some tracks. Some of his earlier tunes were a bit ‘out there’ but I thought I’d take a punt anyway. I’m glad I did because then he sent me ‘Total Squaresville’ which is one of my very favourite Happy Robots records. Interesting isn’t the word! I was already a fan of the first TINY MAGNETIC PETS album. But when I offered to put out their second one, I had no idea that Wolfgang Flür would be on two of the tracks or that they would go out on tour with OMD. The original plan was to just do vinyl and digital but when I heard the OMD news, I thought I’d better press up some CDs and merch too. My only regret is not doing more XXL T-shirts. Happy Robots released the debut single of performance artist SINOSA as BOT11, so is the label expanding and planning to sign more acts? There are no plans for major expansion; Happy Robots just exists to help out acts I like and to get them heard more. I’ve got a full time job, a wife and two kids, there are only so many hours in the day and I’m not mad enough to think I could do this for a living. The Electricity Club thinks that demand for vinyl is not as high as the music industry would like the public to believe, while there appears to be a conspiracy to deliberately sabotage CD… discuss! I don’t subscribe to conspiracy theories. Different formats appeal to different markets. There is no point doing a CD for a band with an under 40s fanbase. Equally, unless you are releasing indiepop, there is very little demand for 7” singles. The one thing about vinyl is it has at least remained consistent and if you’re pressing 250 vinyl LPs, you’d be pretty unlucky not to sell them all out in a few years. There’s no BOT13… so you didn’t fancy being the Pastor Maldonado of independent electronic music? BOT13 is reserved for the ARTHUR & MARTHA remix album – it seemed appropriate. 10 years in the making and still late! It’s a terrific collection with top remixes by GABE KNOX, SOFT RIOT, KATSEN, BRUTALIST ARCHITECTURE IN THE SUN, HONG KONG IN THE 60s and loads more. 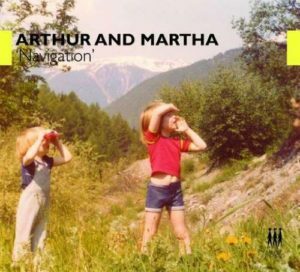 ARTHUR & MARTHA will be reuniting to celebrate the 10th anniversary of the release of ‘Navigation’ at TEC005 in March 2019, what’s planned for that? All the hits, lo-fi visuals, barely in-tune old synths, silly clothes. Ours was never the most well performed or technically proficient show, but it was never dull! What’s next for Happy Robots Records? 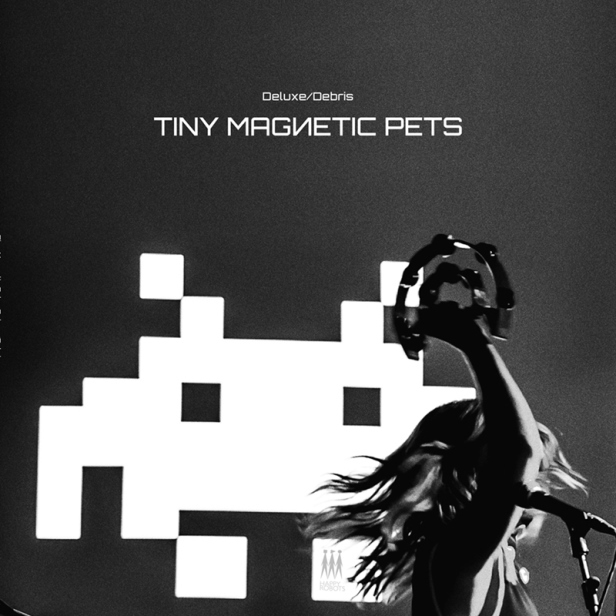 I’ve just confirmed some more Happy Robots gigs for TINY MAGNETIC PETS. Then we have albums from ALICE HUBBLE, PATTERN LANGUAGE and ARTHUR & MARTHA up soon. I’m also putting out one record which is all 9 minute long Krautrock jams and another which is 30 second long KPM-library music. Something for everyone. 2019 is going to be a busy year.